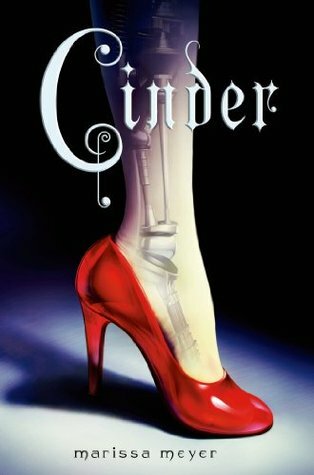 In Middle Grade, YA and NA literature in general, the most frequently unfinished series are pretty well-known and frequently-discussed. They spark debates, incite arguments and occasionally fuel mini-wars. The readers who have finished these controversial series swear by them. Others who have abandoned the series feel differently. And then there's us. If a series is frequently-abandoned, chances are we've finished it. If a series is beloved and popular, chances are we haven't even started it. As for all the rest? That's where this Top 10 Monday pick comes in. This week, we are choosing the top 10 series we haven't yet finished, but which we consider a wrong to be righted as soon as possible. 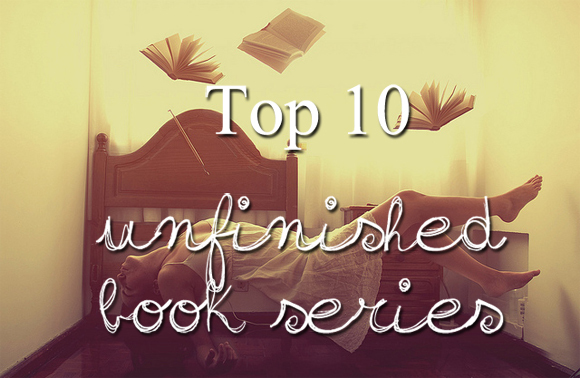 These are the series we've loved in the past and can't wait to complete. In some cases, it's still a long way to go before they're published in their entirety. In others, these are complete, published wholes which we're lagging behind on. Because if there's one thing we do well, it's procrastination. It's scary how consistent we are at inconsistency. 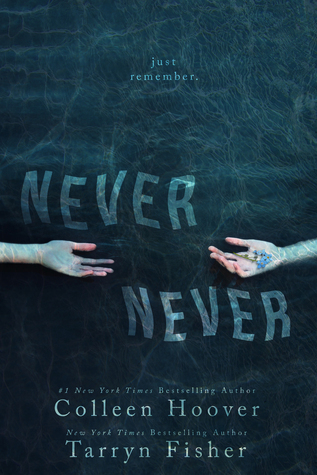 I'm quite the fan of the Mara Dyer series. It's a story I didn't think I would like and ended up loving. 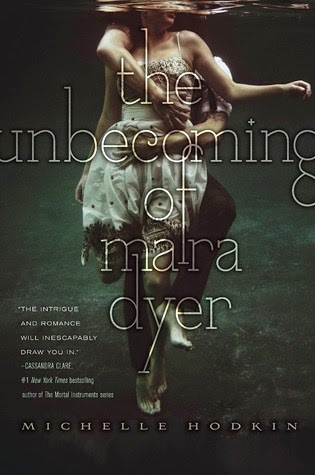 It's been quite a while since I've read the first two books, so I feel that it's because it's been so long that I haven't gotten around to picking up the last one in the series, The Retribution of Mara Dyer. I'll have to get around to reading this one, and soon! 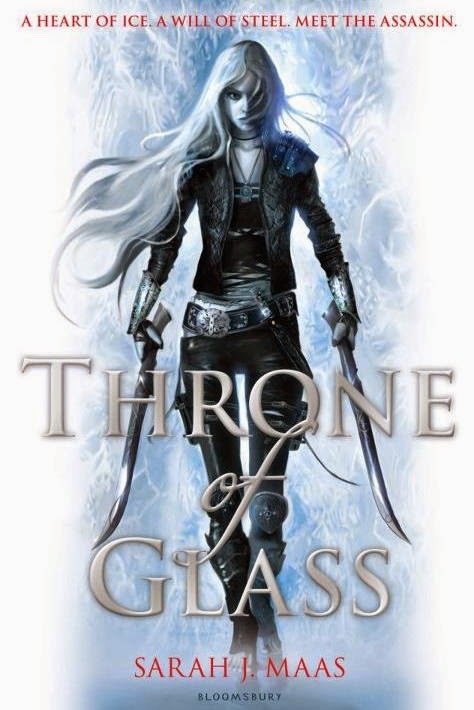 This series is so kickass, and I'm annoyed at myself for not picking up Heir of Fire yet, book three in the series. I really need to get a move on, because the next book will be out soon, and I don't want to be too far behind. I never understand why I always start great series and never finish them! 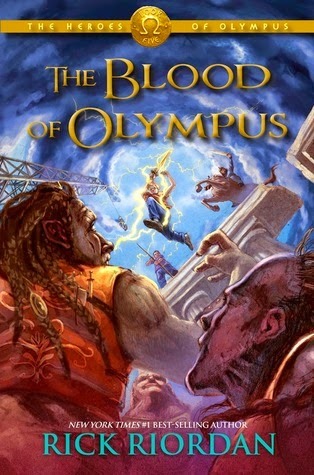 The Percy Jackson series is one I really recommend to people who love an action packed story, wonderfully hilarious characters who are equally as badass, and who also love to learn about Greek mythology, which is really fascinating. I've read them all but the last book, which I do own but not started reading yet. I guess the size of the book as well as it being the finale has put me off a bit. I will read it. But as to when? I've no idea. Hopefully soon! I fear for my favourite characters! 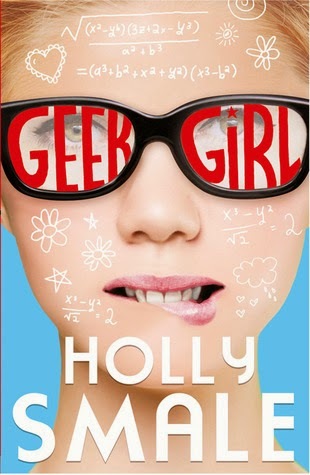 I've read the first two books, Geek Girl and Geek Girl: Model Misfit. I have a copy of Geek Girl: Picture Perfect on my bookshelf and an ebook copy of Geek Girl: All That Glitters, so I have no excuse! I started reading book three, but I ended up reading something else which I had been very highly anticipating: Thoughtful by S.C. Stephens. I had to put that first, which ended with me putting this book aside. I will pick it up again, though. I miss Harriet and her dorky awkwardness and random facts! I've never been a big fan of books about angels. 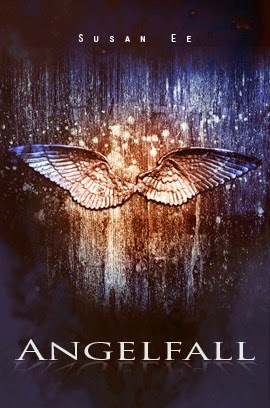 And then along came Susan Ee with her amazing book Angelfall, and I fell in love with it. 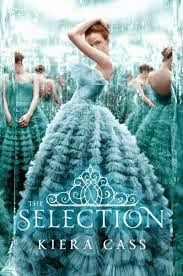 World After I finished as soon as it came out, so I'm just waiting for the last book in the series, the finale. Extremely excited to see where she takes the story! As with angels in the last pick, I'm also not usually into books involving abuse or drug lords, but this one was just fantastic! 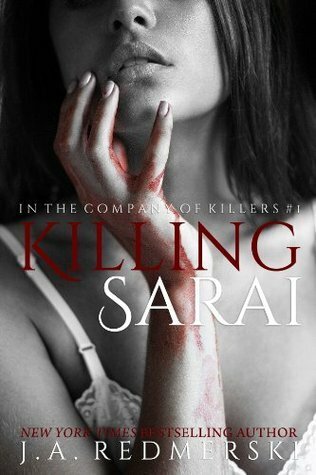 I've read Killing Sarai, the first book in the series, but then picked up none of the others (and there's another 4 books!). Why? I've no idea. It makes no sense, because I adore this book! I've never had the books at hand, so it's just never happened. This year, I will read the rest of the series. I guarantee it! I need to find out what Sarai and Victor are up to next. Yes. I've read the whole series but the last book. Why? I wish I knew. I have the last one on my Kindle but the problem with me is that, if it's been too long since I've read the rest, I'll forget about the important parts and won't know what's going on. I let myself down sometimes. I may need to recap, but I will definitely read the last one. I hope my Daemon is okay! Everyone loves this book. It's cute, fun, exciting, and it's got some great characters! There's a second book, Miss Mayhem, and luckily we only have to wait until tomorrow - it's out April 7th! Horray! 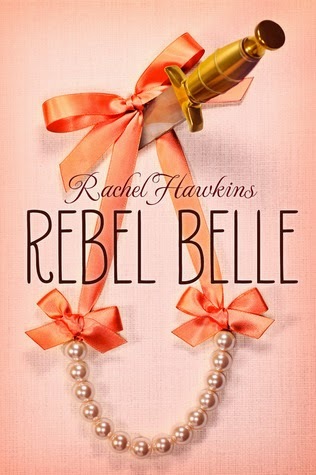 Seems like forever since Rebel Belle came out. No more waiting! 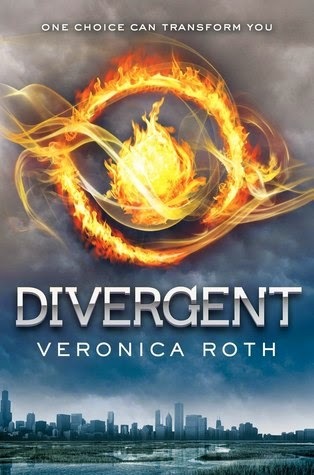 I liked this book more than I thought I would. I was gifted this one by my lovely friend Dennis, along with many other amazing books, and wasn't disappointed at all. I expected it to be more Gossip Girl than it was. As it turned out, there was a lot more to it than that. I was also happy to find it was more mysterious and less 'high school-y'. Always a good thing, in my books. I've yet to read the next installments in the series, but I will be picking them up when I get a copy! 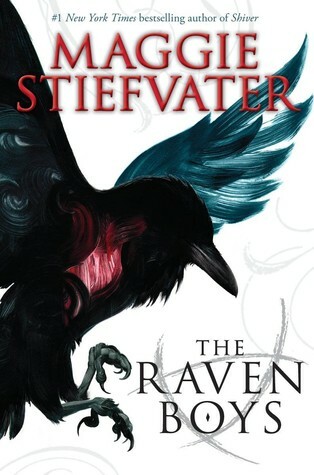 When it comes to Maggie Stiefvater's raven boys, a raven girl and an actual raven, I haven't minced my words when it came to showing my support (and often when it didn't come to that at all). Give me an opening, any opening, and The Raven Cycle will be the first of the series I'll mention. Fail to give me an opening, and I'll find one anyway. (Stop looking for puns, I see what you're doing.) So naturally, the only reason I haven't read this series in its entirety yet is that the fourth and final book, The Raven King, won't be out for another few months. Meanwhile, I hurt and fangirl in turn. Would anyone be surprised to find I have the first three in the series practically memorized verbatim? 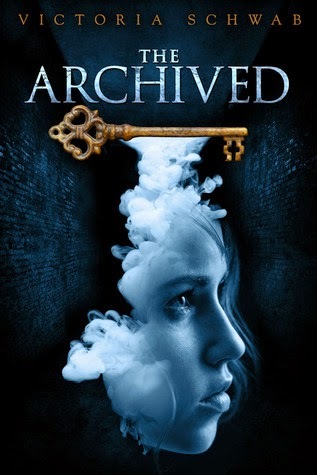 Similarly, Victoria Schwab's paranormal series masterpiece is one of my favorite series overall, and I'm actually scared to look up how many times I've mentioned it on this blog since its inception. I suspect it would be a lot. However many times it is, the praise has been well-deserved. Just last month, I re-read the first two books in the series out of sheer longing and desperation. Because not only is the third and final book in this trilogy not out yet - it hasn't even been written. Victoria Schwab moonlights as an adult fantasy author, V.E. Schwab, while V.E. Schwab contemplates moonlighting as a YA paranormal one in order to finish The Archived, but it just... hasn't happened yet. Natalie and I are in the same situation when it comes to Sarah J. Maas's fantastical fantasy series: we're purposely procrastinating. (Double alliteration. I went there.) Out of the three books currently out, we've read two. The third and most highly-praised of the lot, Heir of Fire, is being postponed - and believe us, it takes the kind of stoic patience we never even knew we had to keep from devouring it right away. With myself, it's a matter of control. If I am the one choosing not to read the next book even though it's out, then it's up to me. If I read it and am then left at the mercy of Sarah's publishers regarding the publication date of the next sequel, then I might just die. Is this crazy? As a person who dearly loves winter (as in, the season), it delights me to finally hear an entire fandom united in a cry of "come, Winter, come". Only in this case, it's capital-W and it's not so much about snow and the holidays as it is about the final book in The Lunar Chronicles. Like many, Winter is one of my most highly-anticipated releases of 2015 - an epic conclusion to an epic saga which honestly can't alight on my desk soon enough. 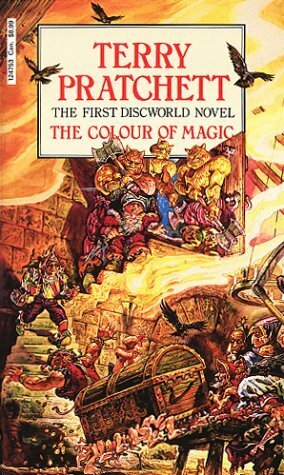 Alongside Harry Potter and The Lord of the Rings, Terry Pratchett's Discworld novels have seen me through my childhood, adolescence and now into early adulthood. Unlike the previously mentioned duo, however, the Discworld novels can, in fact, be read as standalones. Also, there are 40 novels in the series, so their apparent-independence is a good thing if ever there was one. This independence has also ensured that I have never felt rushed or pressured to make my way through the series swiftly, out of fear of forgetting some crucial detail. My forrays into Discworld have been as leisurely as is the floating of a giant turtle through infinite space. 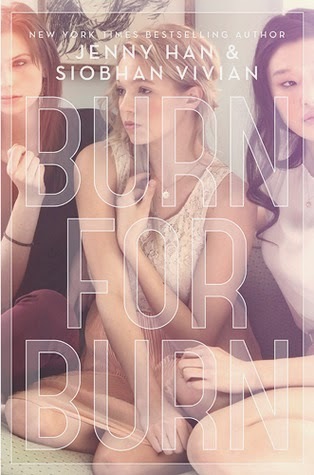 Early in 2015, Carryn have teamed up to pen and release the first in this series of novellas. (I realize we haven't made Carryn happen yet, but our theory is that (friend)ship names sneak up on you when you least expect them.) At only 159 pages, Never Never told a story of two longterm friends who are suddenly strangers, and of a tendency towards a genre which is suddenly not. That is to say, everything about this story was unexpected and everything about this story defied classification. So, naturally, the only reason I haven't progressed to the next novella in the series is that May 17 is still so far away, and the sequel is on the other side of it. The Penryn And The End of Days saga has been shrunk from the intended five-book series to a trilogy. I might have been more upset over it had the third and final book not been titled End of Days, thus finally enabling me to say "The End of Days is near" with a straight face and have it actually be true. Thanks for that, Susan Ee. Out of the two books which are currently out, I've only read the first. This time, my reasoning wasn't maintaining control, but just a lack of means (funds) and opportunity (a bookstore which has it in stock). Yesterday, however, I was told in no uncertain terms to "Shoo shoo-GO READ IT NOW!!" 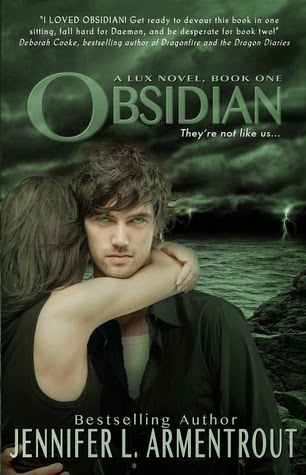 by a fellow fan and blogger, so I guess book 2 is next on the agenda. In my defense, I've been working on an Angelfall-inspired digital art piece for the past forever and it's finally nearing completion, so despite all my procrastination with this series, I'll have something to show for it at the very least. Only a fool grabs a 772-paged novel, reads and enjoys 600 pages of it, then gives up. This fool in question is, of course, myself. 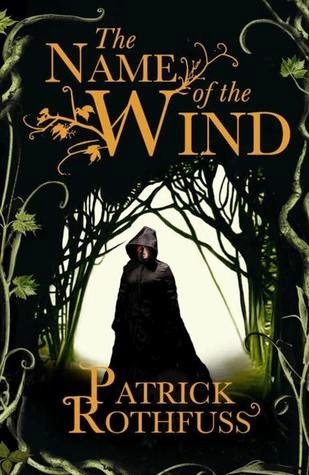 The series in question is, of course, The Kingkiller Chronicles by Pat Rothfuss. (I am allowed to call him Pat. We're fellow WriMos and we both hid away and cried under a makeshift blanket fort when Terry Pratchett died. So we've been stressed and depressed together, and this cocktail has been a foundation for many a great friendship.) The friendship would be still greater, of course, if I actually finished The Kingkiller Chronicles before Pat published the third and final book in the series. It would be the height of hilarity if someone managed to write a 700-paged novel before someone else managed to read a 700 paged-novel. Forgive me, book-lovers, for I have sinned. The sin is even greater given that The Kingkiller Chronicles is hands-down one of the best fantasy series out there right now. Stunning stuff. Hopefully read stunning stuff soon enough. Given my penchant for marathoning series, it usually isn't my policy to devour two books in a trilogy, then never proceed to the third. 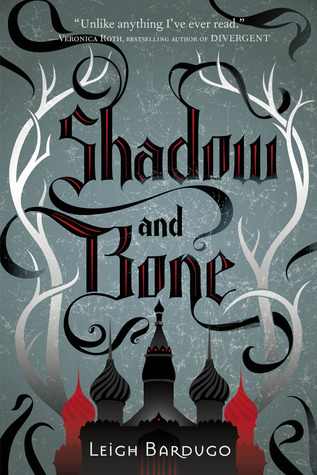 But that is just what I did with Leigh Bardugo's Grisha. And were I a smarter, more independent human, this is where I'd give an actual, legitimate reason. 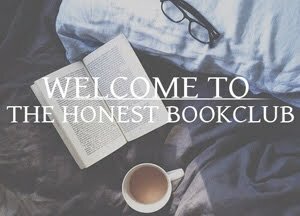 As it is, I am a spineless worm, so my reason was mainly that the third book had only just come out, it was getting some really mixed reviews, I began to fear an Allegiant­-type situation, and I never worked up the nerve to see which side I agreed with. Speak of the devil... Finally, for my number 10 pick, I get to blame THE SPOILER. And there we have it. Those have been the series which have suffered the most on account of our procrastination, the authors' procrastinations, the publishers' procrastinations, or some combination of the three. Whatever the case may be, they are also the series we intend to finish in the near future, then come back to this post and shake our heads at Past Us. (What took us so long?) So if you feel up for it, leave us a comment below and let us know what your most-delayed series are, and we'll be sure to remind you of that comment in a year's time so you can shake your head at Past You. It's more cathartic than it sounds, we promise. If you aren't feeling verbose, feel free to track us down on social media for a daily dose of bookish love.